The recently held SEA Games in Myanmar made our country goes to the seventh standings. 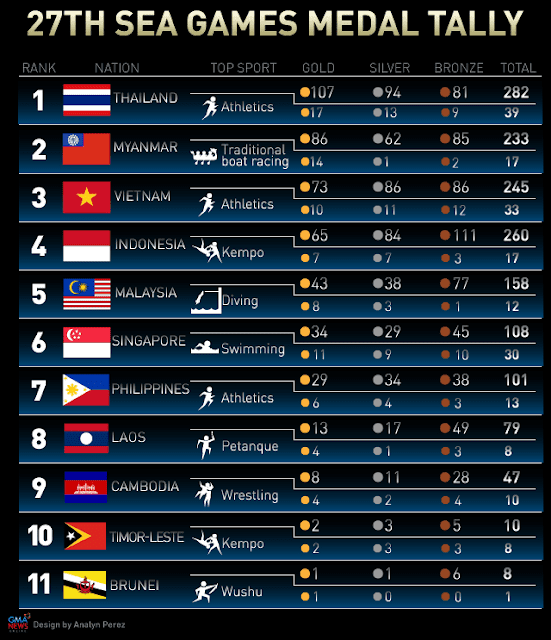 Philippines have a total of 101 medals in the 27th SEA Games. Find out here what country gets the most number of medals in the infographic made by GMA News. Comments or suggestions about "Infographic: Final numbers of Medals in the 27th SEA Games" is important to us, you may share it by using the comment box below.